Living a Fit and Full Life: Learn to be Bold and Brave in Prayer with The Circle Maker Devotions for Kids by Mark Batterson from Zonderkidz! 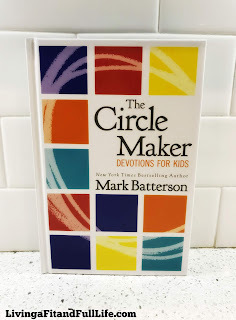 Learn to be Bold and Brave in Prayer with The Circle Maker Devotions for Kids by Mark Batterson from Zonderkidz! Learn to be bold and brave in prayer with The Circle Maker Devotions for Kids by Mark Batterson from Zonderzidz! The Circle Maker Devotions for Kids is an excellent devotional for kids that will help them learn to pray circles around their biggest dreams. I love that this devotional tells the story of story of Honi the Circle Maker and teaches kids that God answers prayers in big and small ways. The Circle Maker Devotions for Kids by Mark Batterson features 100 inspiring messages to help kids on their daily walk with God! It's a great way for kids to start their day! 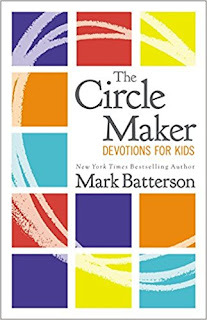 You can find The Circle Maker Devotions for Kids by Mark Batterson on Amazon, Barnes and Noble and other bookstores.